My affinity for One More Saturday Night really began when I was playing with a Dead cover band in Chicago. This is a FUN song to play. There are several different segments that are just a blast. Couple that with entertaining lyrics and you’ve got a real winner in my book. For my the chromatic walk-up is what really seals the deal. The timing of it isn’t straight time and there’s a level of subtle complexity to it that made me really appreciate what seems like a fairly straightforward, simple song. Although I’ve been listening to this song for years, I never made the connection between the rhythm part in the chorus and Chuck Berry until recently. At least in some version the Berry influence is very obvious, and you can certainly see that in this version. The Lille show was also an interesting one on the Europe 72 tour. 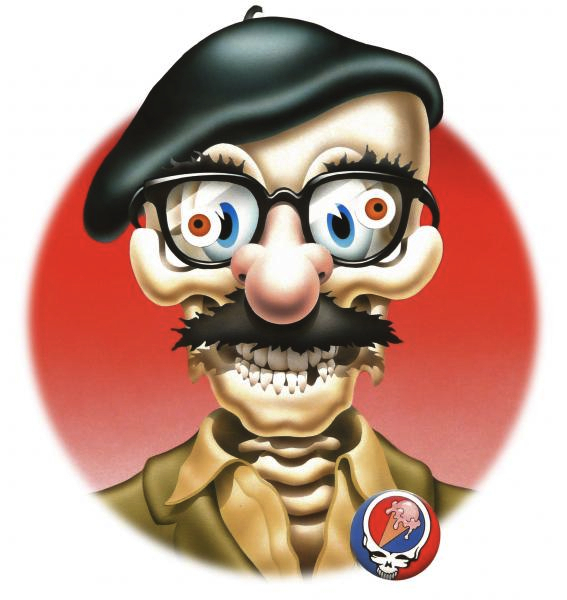 I don’t have a reference in front of me as I write this, but I seem to remember that the Dead were supposed to play a show there earlier in the tour and something went awry either during the show or before it happened. As a mea culpa of sorts, the band came back and played this show for free. One More Saturday Night was the encore and it sure seems like the band was having a good time in France! Bob delivers his signature lick and Phil plays some chords on the bass. I love it when he does that. The rhythm guitar work in the chorus of this song has a major Chuck Berry quality to it. Jerry gives everyone a blast of the blues during the solo segment. Keith plays some nice fills right around the 1:50 mark and Pigpen adds some welcome organ accents as well. Listen to Phil starting just before the three minute mark, he lays some some heavy bass. We’re not talking Phil bombs here just heavy. Almost spurred forward now, the band kicks into high gear and cranks out the jams before finishing with the “million dollar ending.” If you don’t know what I’m talking about you will after listening to this. Tagged 1970s, 1972, Complete Europe 72, Lille France. Bookmark the permalink.